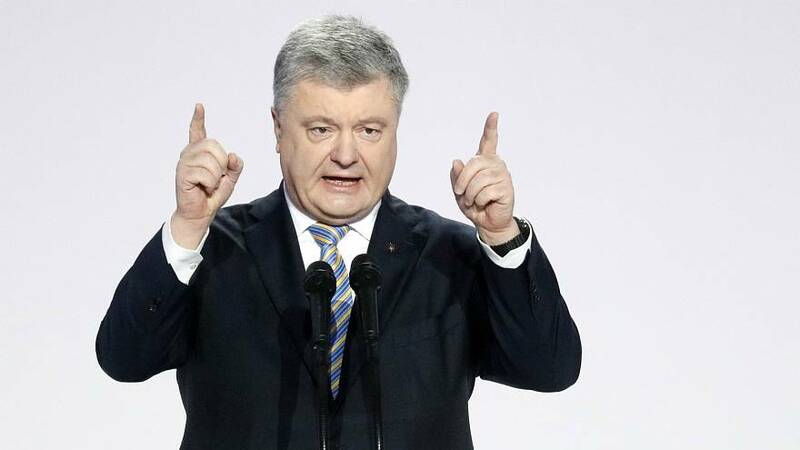 Ukrainian President Petro Poroshenko announced on Tuesday that he would run for a second leadership term, despite flailing approval ratings linked to a diminishing welfare system, corruption, and his handling of the recent civil war in Ukraine's east. But it was his campaign slogan referring to Russian President Vladimir Putin that generated some confusion amongst his audience. 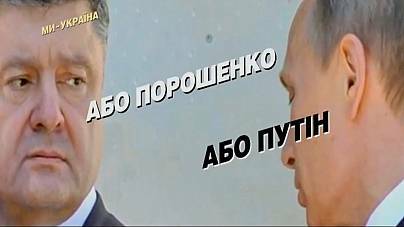 "Either Poroshenko or Putin," the slogan, superimposed over a picture of the two presidents mid-conversation, said. Ukrainians quickly took to social media to point out a few of the factual issues with the phrase. "Does Putin know that he has an election in March?" Kiev-based journalist Elena Bondarenko joked, sharing a mock of a Poroshenko-Putin ballot paper. "In the morning, Putin will come out and say: 'friends, I have decided not to run for president of Ukraine,' and then everything in [Poroshenko's] campaign plan will have collapsed," another journalist, Dimitry Zaborin, wrote on Facebook. One journalist, Olga Shary, asked whether the Ukrainian president truly believed that if voters rejected him, the country had no choice but to "surrender to the aggressor"
"That is, according to the logic of Poroshenko and his team, the elections do not need to be held, since there is only one candidate and a saviour," she continued. "What a painful choice...." another simply wrote. While none of the candidates have received high public ratings, there are three front-runners to note. A poll conducted in December by the Kiev International Institute of Sociology saw Poroshenko trailing behind Ukraine's former prime minister, Yulia Tymoshenko, who launched her own bid last week. Poroshenko was also rated lower than Volodymyr Zelensky, a Ukrainian actor and comedian who announced his candidacy earlier this month. However, despite the shaky start in the presidential polls, many experts believe Ukraine will eventually see a run-off between Poroshenko and populist choice Tymoshenko.